Win $500 in prizes! 12 Month Subscription + Aquafarm and Mushroom Kit from Back to the Roots! Sign up Today. Giveaway Ends 8/20! 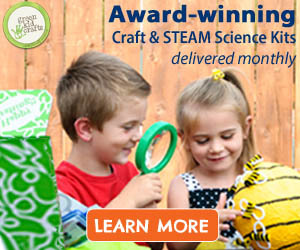 12 Month Subscription to Green Kid Crafts gives your child something to look forward to each month. 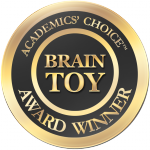 Every month your child will receive 3-4 award-winning craft and science activity kits designed by experts to build confidence, flex creativity and engage kids with the world around them. All materials and instructions are included in the box so your child can start crafting as soon as the mailman drops it off. Best of all, every month is a different theme so it will keep your kids excited about what is to come. Next month is Outer Space! An innovative way to grow mushrooms from recycled plant-based waste right in your kitchen. Everything you need comes right in the box, even your freshly grown oyster mushrooms. Just open the box, mist the soil (mister included) and watch your mushrooms grow in as little as 10 days. Two crops are guaranteed and some customers get as many as three. Great for kids! Grow fresh produce right in the comfort of your own home – beans, basil, thyme, baby greens, oregano, mint, parsley, spinach and so many other delicious foods! This closed-loop eco-system uses the fish waste to naturally fertilize the plants above. In turn, the plants clean the water for your pet fish. Includes natural aquatic supplies from Home Grown Ponics and organic seeds from Seeds of Change. Older Win 20 Birthday Party Activity Kits!